Some of the residents of ‘Billionaires’ Row,’ a stretch of apartment towers in New York City that boast some of the highest real estate prices in the world, announced Monday that they are suing the city in an attempt to stop a homeless shelter from opening in their neighborhood. 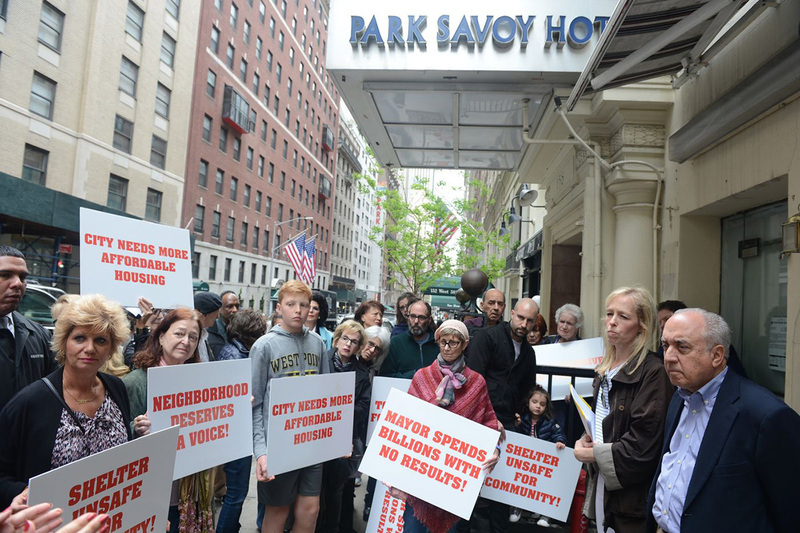 The West 58th Street Coalition, which represents the homeowners, renters, and business owners in the area, filed a lawsuit aiming to stop the old Park Savoy Hotel at 158 West 58th Street from being converted into a shelter for 140 men. The group claimed that the 70-room hotel was not up to fire safety standards and could pose a threat to future residents and neighbors. Mayor de Blasio has made the creation and maintenance of affordable housing a cornerstone of his tenure, and his office has exceeded expectations towards that end. The West 58th Street Coalition also states that the city did not inform them of the plans for the hotel, or alert their local elected officials or police precinct, but the city argues officials were given proper notice on January 9. The Department of Buildings has issued a stop-work order after news broke earlier this year that construction had already begun on the hotel. The Park Savoy Hotel, which is located one block south from Central Park, sits in the shadow of the Christian de-Portzamparc-designed supertall, One57. Also lining the famously-expensive street is 423 Park by Raphael Viñoly, 220 Central Park South by Robert A.M. Stern, and 53W53 by Jean Nouvel.